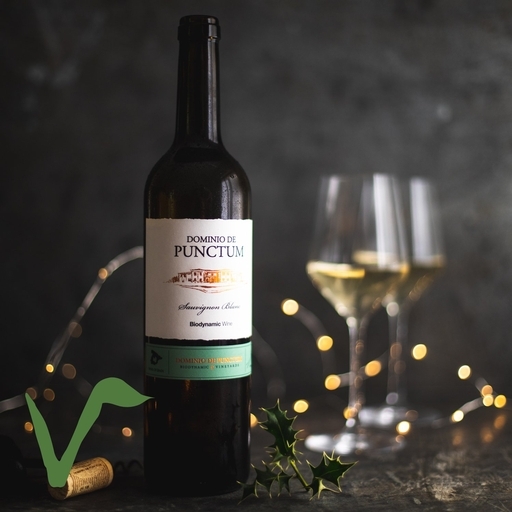 An elegant Sauvignon Blanc from the Fernández family’s Punctum Estate, La Mancha. It’s made with organic and biodynamic grapes, harvested at night to keep them fresh and bright, macerated for a day then cold-fermented. The result is a beautifully balanced, crisp and fresh wine, with a citrus aroma and notes of pear. It’s particularly lovely with seafood. Keep in a dry, dark place. Dominio de Punctum is a family owned estate and winery at the northern tip of La Mancha, half way between Madrid and Valencia. High altitude (750m) and cool nights keep the grapes fresh and vibrant. Careful, modern winemaking make them into lovely, great value wines. Their Finca Fabian range are the house wines in our restaurant The Riverford Field Kitchen.